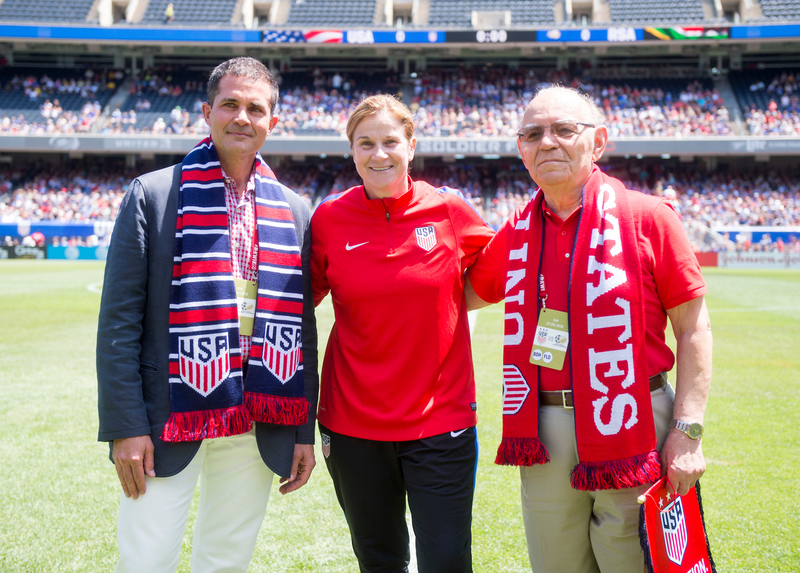 The Dimitrios Tsatsis Scholarship Fund provides need-based scholarships for talented young boys and girls competing in the U.S. Soccer Development Academy. While U.S. Soccer on average has funded more than 300 scholarships a year, with over 580 scholarships awarded in 2017-18 alone, the Dimitrios Tsatsis Scholarship Fund provides concentrated funding at a higher amount to elite players with significant playing potential and personal financial need. Dimitrios Tsatsis Scholarship Fund awards are expected to be about twice the amount of general U.S. Soccer Development Academy scholarships to cover all the players' participation needs. Approximately 10 Dimitrios Tsatsis Scholarships will be awarded for the 2018-19 season. To be eligible for the Dimitrios Tsatsis Scholarship Fund award, players must apply through the regular Development Academy scholarship application process, and meet the basic eligibility requirements outlined in that application. Link to the general scholarship application will open on August 1st, 2018 and the deadline to apply is September 2nd, 2018. Club Directors may then nominate one boy and/or one girl from their club for this prestigious award through the simple nomination form. The form is comprised of basic contact information and a simple question: "Why do you feel this player should be awarded the Dimitrios Tsatsis Scholarship Fund scholarship?" (400 words or less). The deadline to nominate a player is September 2nd, 2018. As part of the online application, the Club Director must download and sign a formal document affirming that should the costs for the player competing on the team exceed the amount provided by the Dimitrios Tsatsis Scholarship Fund, the Club will cover any additional spending to ensure that the player participates in the Academy cost-free. Because travel expenses vary depending on a club's location, the amount awarded to each Dimitrios Tsatsis Scholarship winner may also vary. U.S. Soccer will factor in any club fees and project expenses based on the Youth National Team budget assumptions and the club's Academy schedule. All player applications and Club nominations must be fully completed and submitted electronically, and include valid copies of 2017 (or 2016 if applicable) tax returns. Partial applications will not be considered. The Development Academy staff will review all nominations and announce the award amounts in concert with the general Scholarship program announcements. The Academy staff will contact the club directly to inform them if their nominated player has been awarded the Tsatsis Scholarship. The Dimitrios Tsatsis Scholarship Fund honors soccer supporter Jim Tsatsis and his love of the beautiful game. Jim grew up in a small Greek village on the mountains of the Albanian border where, with little equipment or flat ground, he and his friends often had to walk up to two miles just to find a patch of grass to play on. Jim immigrated to the United States, later joining the U.S. Army and gaining American citizenship. While stationed in Europe, Jim played for his regiment's soccer team, earning a spot against 150 others at tryouts. His squad played matches as a relationship builder with other NATO allies, German villagers and even some second division clubs, and enabled him to connect with fellow soldiers and Americans. After the war, Jim returned to the United States and relocated to the Chicagoland area, where he continues his passion for soccer and spends time with his family today. 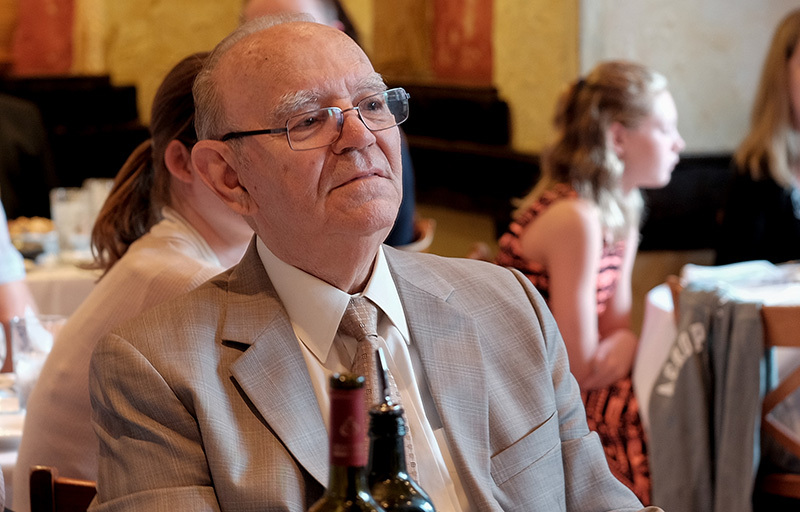 In summer 2016, the Mark and Mary Ann Kaufman Foundation generously donated a significant endowment in Jim's name to establish the Dimitrios Tsatsis Scholarship Fund. Learn more about Jim and his story here.